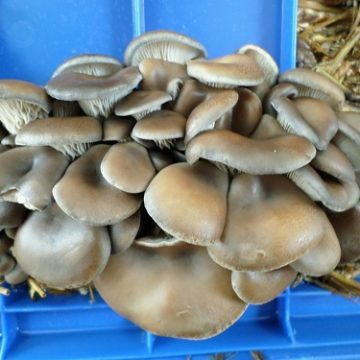 There are a number of different oyster mushroom varieties common to cultivation, but pleurotus ostreatus is the most common. The common oyster mushroom, also known as the Pearl Oyster, tends to be versatile in cultivation. Growing pearl oyster mushrooms is ideal for beginning growers because pearl oyster mushrooms are easier to grow than most mushroom species. Pearl oyster mushrooms will fruit on a wide variety of substrates, and they will fruit at room temperature. 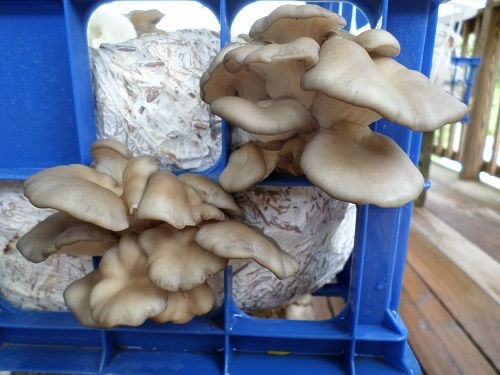 Pearl oyster mushrooms are suited for outdoor growing as well as year-round indoor growing so long as proper fresh air exchange can be maintained. Outdoors, oyster mushrooms are most often grown on hardwood logs or in straw baskets. Indoors, oyster mushrooms are typically grown on straw. 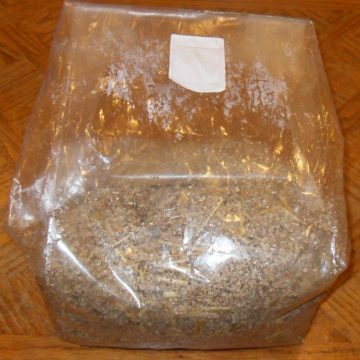 You can get a very nice yield of oyster mushrooms from a relatively low investment of straw. 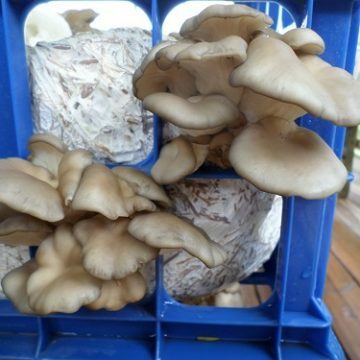 Pearl oyster mushrooms will also grow on anything from cardboard and paper to used coffee grounds to even used motor oil. Oyster mushrooms have even been employed as a type of bioremediation for oil spills. 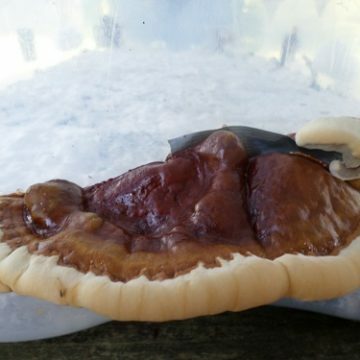 Tests even indicate that oyster mushrooms grown on substrates containing motor oil are edible. That would make sense if the mushrooms are actually decomposing and not absorbing the substrate. 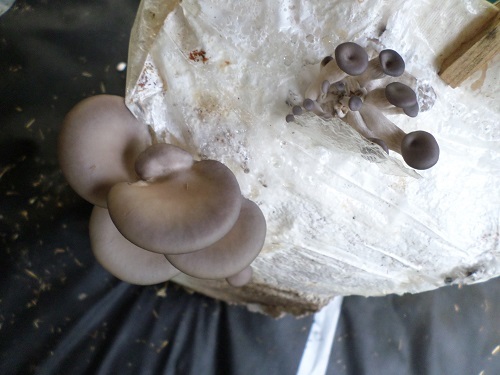 In terms of experimenting with unusual substrates, oyster mushrooms offer the most opportunity. They are an excellent choice for kids, and they offer interesting opportunities for science projects. Certainly, yields will be best with traditional substrates. 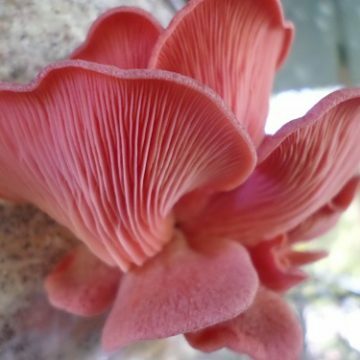 But if you’re looking to make food from waste or explore the bounds of what you can use in your substrate mixes, the oyster mushroom can offer you the chance to do just that. 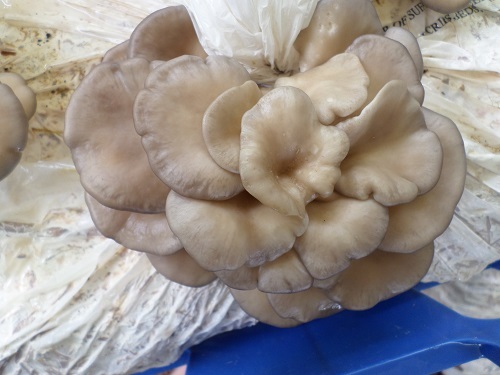 Oyster mushrooms are actually sold fresh in many super markets, whereas the majority of cultivated mushrooms are only available dried or from specialty sources. This is indicative of the fact that oyster mushrooms are generally pretty palatable. Mushroom lovers with a more refined palate may prefer many of the more exotic types, but in terms of edibility, the oyster mushroom should be suitable for anyone who like mushrooms. 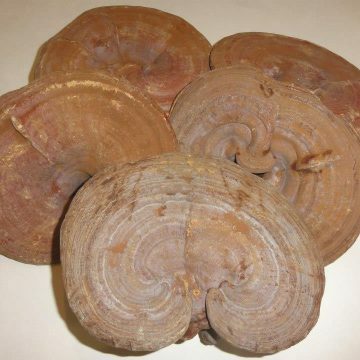 The caps of these shelf mushrooms are the edible part. The stems are generally very tough, and growing conditions can effect the ratio of stem to cap. Like most mushrooms, pearl oyster mushrooms are very good for your health. These mushrooms are rich in anti-oxidants and can support the immune system. Oyster mushrooms also have anti-bacterial, anti-viral and anti-inflammatory properties. They can also support heart health by regulating blood pressure and cholesterol. The pearl oyster mushroom contains the compound lovastatin, which is a statin drug used to control cholesterol levels. Each item contains one petri dish with a pearl oyster mushroom culture culture colonized on MEA substrate.